New Visiolink applications are quite different from the earlier versions. Not just in terms of layout but in terms of event tracking. Several changes have been incorporated with the introduction of Google Tag Manager (December, 2014) in Visiolink applications. One of the more evident changes is the removal of page views from newer apps. An app using Google Tag Manager does not send page views to the website view in Google Analytics. However, we incorporated the page view as an event to provide a more precise metric for page views. This article will show you how to create a custom report to retrieve our custom page view event. We have defined the page view event on our own to include page views across all newer versions on all platforms. This enables you to see the total number of page views for iOS, Android and Desktop in the same place. 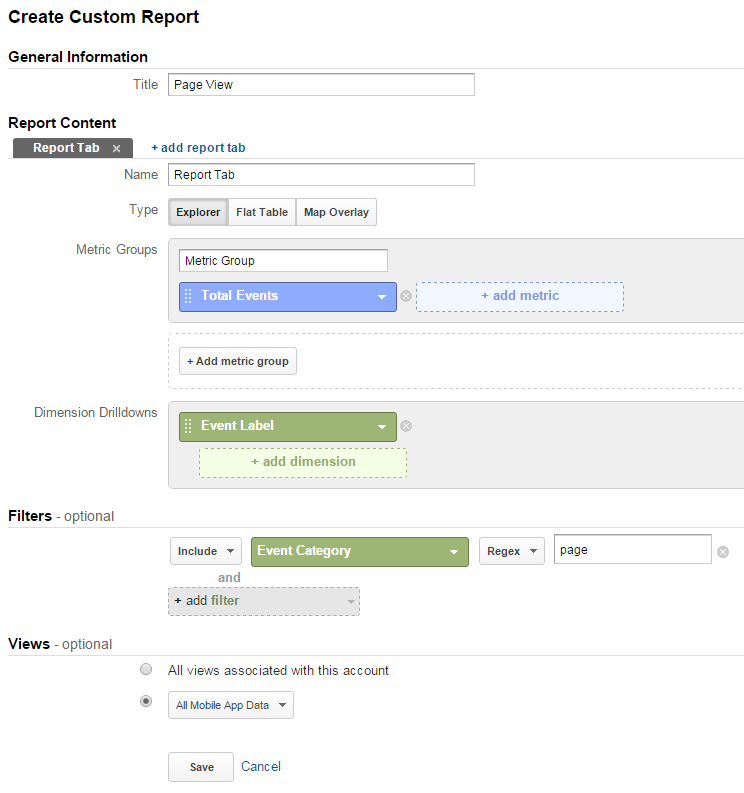 Depending on your previous activity in Google Analytics, you might have a number of custom reports already. The Page View report will be added as the latest one. When selecting a view, you can select either a single view or all views on the account. 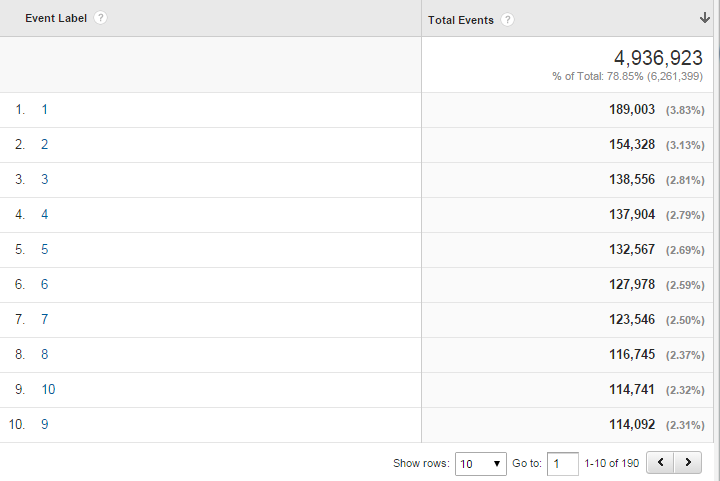 *Remember to set the filter to ‘Regex’ to make sure Google can find all the event data. 4. See the amount of page views for your applications. After clicking ‘Save’ you should be able to see the page view data. The data shows the number of page views for the selected date range. To include more days, simple change the date range in Google Analytics and the number of page views will change accordingly. The Event Label describes the page number for the page views. To see even more pages, click the ‘Show rows’ dropdown menu and select your desired number of rows. If you select 100 rows, you will be able to see data for the 100 most popular pages in your publication for the selected date range.